J. Daniel Friederich, O.D., F.A.A.O. Home » Our Doctors » J. Daniel Friederich, O.D., F.A.A.O. Dr. Friederich was born and raised in St. Louis, Missouri. A graduate of St. John Vianney High School and Truman State University, Dr. Friederich also served in the U.S. Army National Guard. Called to active duty in 2003, he served over a year in Iraq, receiving the National Defense Service Medal and the Army Commendation Medal for outstanding service. Dr. Friederich received his Doctor of Optometry degree from the University of Missouri – St. Louis School of Optometry in 2008, and began practice here at Vision Care Consultants upon graduating.Dr. Friederich’s wife, Erin, is a graduate of Truman State University and the St. Louis College of Pharmacy; she received her Doctor of Pharmacy degree in 2008. Erin works as a consultant pharmacist for OmniCare in Belleville, IL. Dr. Friederich is an active member of several professional organizations including the American Academy of Optometry, the American Optometric Association (AOA), the Missouri Optometric Association, and the St. Louis Optometric Society. He was honored with an appointment to the Anterior Segment Committee of the AOA Contact Lens and Cornea Section in 2009, and continues to serve on the Committee. He is the chief editor of the AOA Contact Lens and Cornea Section’s monthly publication. Dr. Friederich achieved Fellowship in the American Academy of Optometry (FAAO) in 2011. 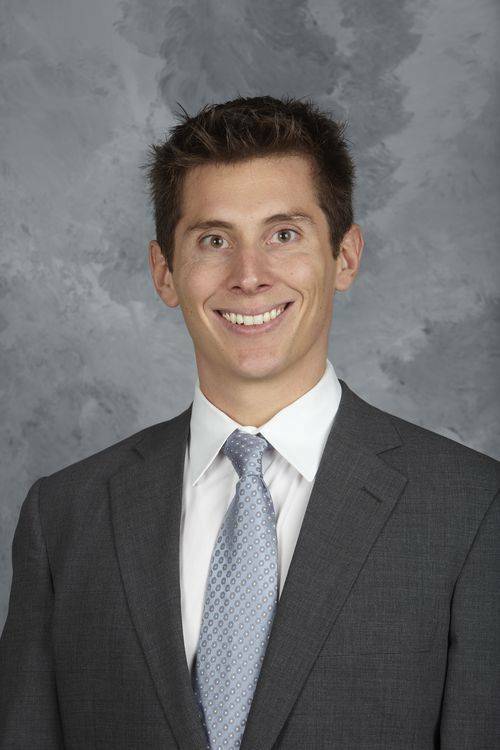 In addition to receiving numerous other awards and scholarships, Dr. Friederich participates in the Gateway Disabled Ski Program each winter and assists visually impaired children and wounded veterans in learning to ski.Along with our other doctors, Dr. Friederich provides eyecare for the St. Louis Blues.